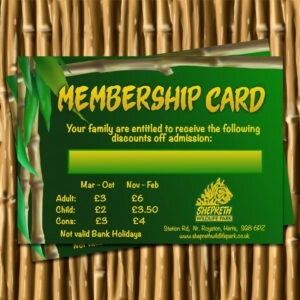 A membership card is valid for 12 months from purchase and gives access to Shepreth Wildlife Park for the named individual. Excludes Bank Holidays. 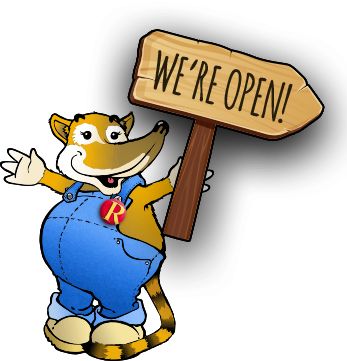 Winter Closure: Tuesday – Thursday, 1st November – 17th February. On receipt of your order confirmation email, please email office@sheprethwildlifepark.co.uk attaching the name and address details. Your card will be stored in the main gift shop for collection in person after 48 hours of receipt of your email. A form will need to be signed by the card holder / guardian on collection of the pass. If you are purchasing this as a gift for someone, we will happily send a gift voucher in place of the card, until it can be collected and signed for. 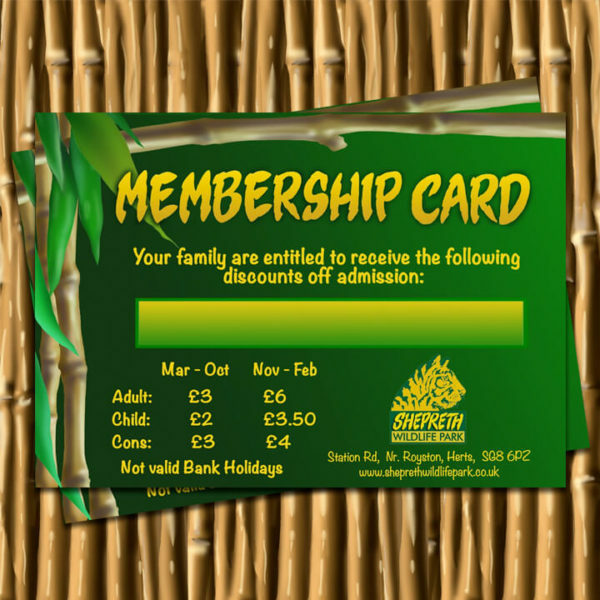 In purchasing any Annual Pass or Membership Card you enter into an agreement with Shepreth Wildlife Park on these specific terms. Once an Annual Pass or Membership Card has been purchased, the ticket is non-refundable unless due to exceptional circumstances. This is at Shepreth Wildlife Park’s discretion. 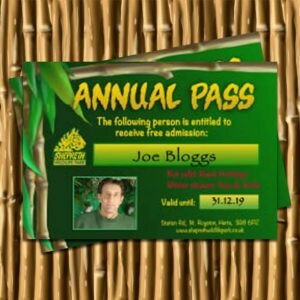 Each type of Annual Pass or Membership Card includes the benefits stated on the pass, as at the time you make your application. Shepreth Wildlife Park reserves the right to change these benefits at any time and without prior notice. Any photo card issued with your Annual Pass or Membership Card is for use by the named holder only, and is not transferable under any circumstances. Any Annual Pass or Membership Card holder is only entitled to entry to the attraction as indicated on the application for their type of pass, at the time the pass was taken out, during normal opening hours. Annual Pass or Membership Card are not valid after their expiry date and remain the property of Shepreth Wildlife Park at all times. Admission to the attraction will not be granted under any circumstances without the production of a valid Annual Pass or Membership Card. If you do not have your card with you on the day of admission, the current full admission charge must be paid, which is non-refundable. The Annual Pass or Membership Card is not a credit card, charge card or cheque guarantee card. An administration charge of £5 will be made for lost or replacement of an Annual Pass or Membership Card should you require one. Car park space availability cannot be guaranteed or spaces reserved. Visitors leave their vehicle at their own risk. Shepreth Wildlife Park reserves the right to refuse entry to the attraction and/or cancel an Annual Pass or Membership Card without refund if the photo card holder, or anyone accessing the attraction by virtue of an Annual Pass or Membership Card, breaches the terms and conditions relating to access to the Wildlife Park. Entrance to the attraction remains subject to all other Shepreth Wildlife Park standard terms and conditions of entry. Unless otherwise stated an Annual Pass or Membership Card runs for a period of 12 months from the date of your approved application. Cannot be used in conjunction with any other offers. Shepreth Wildlife Park will be closed to visitors Tuesdays and Wednesdays between November and February every year. Exhibits at Shepreth Wildlife Park are designed to complement the animals and vegetation in our collection. Free-roaming animals, streams and elevated walkways, for example, can be dangerous. Children (15 years old and under) must be supervised by an accompanying adult at all times. It is an express condition of your entry and your participation in the activities conducted by Shepreth Wildlife Park that you do hereby, for yourself, your heirs, executors, assigns and next-of-kin and each of them release, waive and discharge Shepreth Wildlife Park, it’s directors and employees of and from all liability, claims or demands for all injuries, losses, damages of any kind or nature to your person or property or to that of any minor under your supervision, while on the property of Shepreth Wildlife Park. Shepreth Wildlife Park will enforce conditions of entry as per its authority under the Wildlife Park Licensing Act. A guest is any person or persons on the grounds of Shepreth Wildlife Park or by virtue of a ticket or for any other reason. A guest must enter via a public entrance and, where applicable, pay the entrance fee. A guest is not permitted to bring into the Wildlife Park any animal; animal costume; ball; balloon; bicycle, scooter, skateboard, roller blades or similar apparatus; alcohol or illegal substance. A guest is not permitted to use any audio equipment or musical instrument at a volume likely to disturb any animal; or behave in a manner that is likely to cause offence or disruption to other guests. A guest is not permitted to touch or interfere with any animal or vegetation; remove or disturb any rock, stone, sand or similar substance; feed any animal; throw any object; climb on, damage or deface any structure or sign; light any fire; or litter. A guest is not permitted to conduct any commercial activity in Wildlife Park grounds including the use of any media equipment. A guest is not permitted to enter or remain outside public hours or enter any non-public area or exhibit. All guests must abide with any other conditions displayed in Wildlife Park grounds or communicated by Wildlife Park staff. Shepreth Wildlife Park’s Farm Train reserves the right to refuse travel to any person. All children up to the age of 6 travelling on the Farm Train must be accompanied by an adult. Shepreth Wildlife Park has the authority to close the Wildlife Park or any part there of, including any animal exhibit (animals off display) or show, at any time for reasons of adverse weather, equipment failure, maintenance and construction, or in the interests of safety and will not be liable for any loss or expense incurred by a guest as the result of such closure. Shepreth Wildlife Park is a smoke-free site. Smoking is prohibited in all Wildlife Park buildings, vehicles and outdoor areas, except for outside the Farm Yard toilet area. Guests who do not comply may be removed. There will be no refunds due to inclement weather or animals resting or animals sleeping. Please ensure that the information you provide at the time of making your booking is correct and complete. If you wish to make any changes to the information you have provided then please contact our Registrar on 01763 262226. However Shepreth Wildlife Park reserves the right not to act on any requested changes unless it would be unreasonable not to act. Once an order is placed, the cost of your booking and estimated dispatch, will be specified in the order confirmation. Shepreth Wildlife Park will aim to ensure that prices and charges listed at the time of order are accurate, but Shepreth Wildlife Park cannot accept any liability if the information displayed is incorrect. Shepreth Wildlife Park will inform you of the correct price or charge in the event that an error has been made. Shepreth Wildlife Park will endeavour to inform you within a reasonable time of Shepreth Wildlife Park becoming aware of this error and you will be asked if you wish to continue with your order on the basis of the correct information. Your order will be cancelled if Shepreth Wildlife Park does not receive confirmation that you wish to proceed with your order within a reasonable period, in response to the notification. 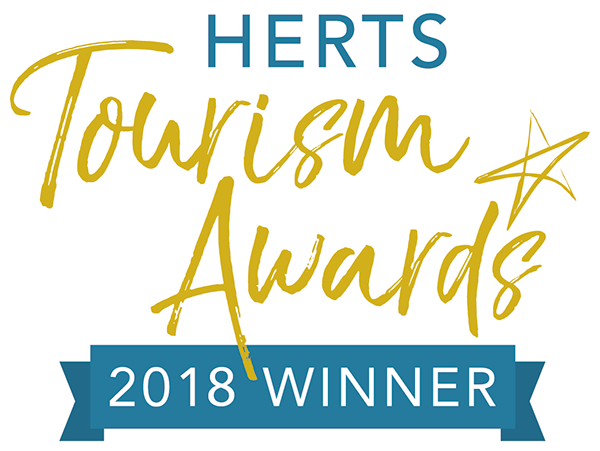 When you place an order through the website, via our leaflets or by telephone, this will be an offer by you to purchase the Shepreth Wildlife Park experience. Shepreth Wildlife Park will then acknowledge this order. Once your order is completed successfully online, over the phone or via our leaflet, payment will then be taken from your payment card or by cheque. All items are supplied subject to availability and may become unavailable at any time. If Shepreth Wildlife Park is unable to supply the item within 30 days of your order we will inform you that this is the case. Shepreth Wildlife Park will supply your items within 30 days but endeavor to dispatch items within 3-5 workings days from the date of purchase; however delays will occasionally be inevitable in circumstances such as the unavailability of specific items or due to factors outside of Shepreth Wildlife Park’s control. Shepreth Wildlife Park will not be liable for any delay or failure to dispatch items within the estimated timescale. Items will usually be delivered by Royal Mail. Shepreth Wildlife Park cannot be held responsible for any delivery delays following dispatch. At present Shepreth Wildlife Park delivers to the UK only. All prices listed include VAT (where applicable) but exclude delivery charges. Shepreth Wildlife Park will always accept return of and offer a refund (including original postage and packing costs) for defective goods returned within fourteen days of delivery, as long as the item is returned in its complete and original packaging together with a copy of your confirmation of order receipt. On return please provide a brief description of the fault. Under the Consumer Protection (Distance Selling) Regulations 2000 you have a right to cancel your order and or return an item purchased through the Shepreth Wildlife Park within 7 (seven) days of delivery for any reason. Shepreth Wildlife Park will refund your payment card with both the item cost and original posting and packaging cost within a reasonable period of time. Unfortunately Shepreth Wildlife Park is not able to refund the cost of return postage and packaging. Please note this does not include the right to return personalised items and admission tickets. A refund can only be made to the purchaser on the same card originally used for payment. A refund cannot be given once a booking has been made or on extended, expired or exchanged vouchers. Registrar, Shepreth Wildlife Park, Station Park, Shepreth, Nr. Royston, Herts, SG8 6PZ. Please include a copy of your receipt and original packaging. If you breach these terms and Shepreth Wildlife Park takes no action, Shepreth Wildlife Park will still be entitled to use its rights and remedies in any other situation where you breach these terms. That you are at least 18 years of age and possess the legal authority to enter into any transaction through our website (including instructing us to collect any payments from a payment card or billing account). To use our website, phone booking and leaflets in accordance with the terms and conditions. That you are a resident of the United Kingdom. None of the terms shall be enforceable under the Contracts (Rights of Third Parties) Act 1999 by a party other than you or Shepreth Wildlife Park. Please ensure when making an order the information you provide is correct and complete. If you wish to make changes to the information provided please inform Shepreth Wildlife Park immediately. Shepreth Wildlife Park will try to ensure that the prices and charges listed at the time of order are accurate, but cannot accept any liability if the information displayed is incorrect. In the event that an error is made you will be informed via email (to the address you have provided) of the correct price or charge. We will ask whether you wish to proceed with your order. If Shepreth Wildlife Park does not receive confirmation from you within 7 days your order will be cancelled. All items are supplied subject to availability and may become unavailable at any time. If Shepreth Wildlife Park is unable to supply items within 28 days we will inform you that this is the case. Delays will occasionally be inevitable due to unforeseen circumstances such as the unavailability of specific items or factors outside Shepreth Wildlife Park’s control.